Earth Island Herbs owner, Carol Wade, graduate of the Herbalist Therapeutics Research Foundation, has been an herbalist and nutritional counselor for over 20 years. She has a private practice; was involved with the Community Supported Agriculture program; started an herbal products line, and, now, she’s sharing her knowledge in yet another way. 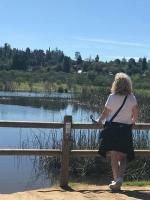 On the grounds of the Krishnamurti Foundation in Ojai she planted a garden for meditation, strolling, dreaming, and now, it has also become a classroom for her new venture, The Ojai School of Herbal Studies. That leap of faith resulted in a private practice, which she named Sea of Grace, and in 2012, the fulfilment of one of Wade’s long-time dreams, the establishment of her Earth Island Medicinal Herb Garden. Last month, she fulfilled another dream by opening The Ojai School of Herbal Studies. Through the school, Wade’s 288-hour, 18-month course begins with terminology, anatomy and physiology and the safe and effective use of herbs. Students then learn the history and culture related to using herbs in conjunction with health, including which herbs support which physiological systems. Other components include the preparation of tinctures, lotions, and other products; planting and plant cultivation; and even diet and exercise. Students spend time in both the garden and indoor classrooms. 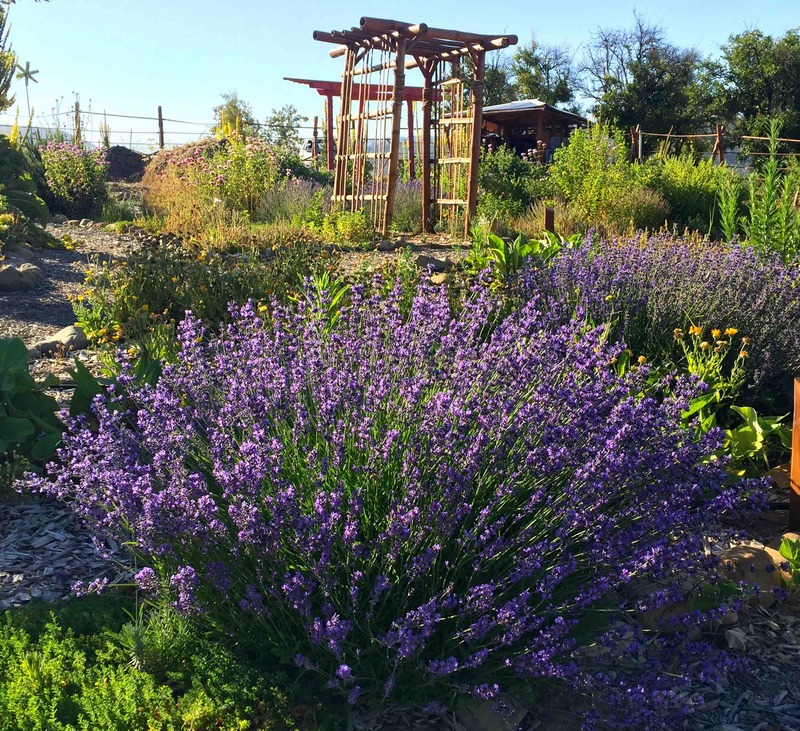 Wade’s guided Eco Tours through her gardens, where she provides an overview of both native and regionally adapted plants, including medicinal plants’ historic cultural uses, such as white sage, used by the local Chumash. Participants complete the day by creating their own souvenir herbal product. In spite of Wade’s line of work, she says, “I don’t think herbal remedies should replace other kinds of healing modalities, but rather become a part of the compliment of choices that people have.” However, she says herbal remedies constitute an important player. “This is information passed down from generations. The chain was broken in the late 1800s and early 1900s, but there has always been an undercurrent of people who kept these things alive.” Now, with The Ojai School of Herbal Studies, she is helping her students learn and pass on this information.